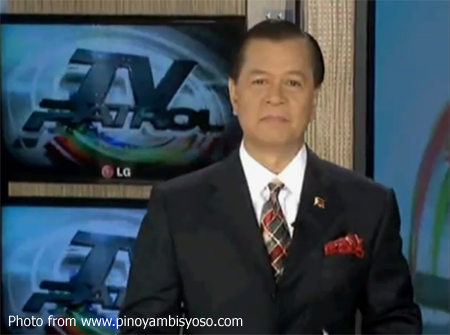 True, Noli de Castro as anchor of TV Patrol does once in a while let fly an unscripted side comment that is undeniably a barb planted on side of the Aquino administration. Yes, there were occasions when I myself had wondered at the wisdom of such ad libs given that de Castro himself used to be very highly placed in government. For the President to criticize the anchor – albeit no names were mentioned, but duh – on the occasion of TV Patrol’s silver jubilee celebrations last Friday at the Manila Hotel was, however, probably the height of poor taste. Oh, I agree with the President! The media does seem to have a penchant for not only the negative but also the downright macabre. In fact, media will be well served to examine its conscience to determine if it is not unwittingly perpetuating the ills of this country under the guise of truthful reporting. But will you hurl wine into the face of a host who has so generously laid out a banquet for you to feast on? My word, but have bad manners become so fashionable that even the President of the Republic manifests them in public events? I am appalled, to put things plain and simple, that the President sees fit to stoop to such levels. It goes without saying that once you go into public service, then your every move will be scrutinized. It also goes without saying that while some people may like what you are doing, others simply won’t. At the end of the day, you lay down the directions, work your arse off and hope for the best. If there are critics – and there will always be critics – they come as part of the landscape. If your intentions are noble and your methods sound, then you will probably get what you planned for. If you fail, you try again. If your plans succeed, the critics eat their words. That is the way it works! In the workplace, the employee who knows the hottest item on the grapevine is probably not working at all; and the least updated on the hottest gossip are those who work the hardest. Why does the President – or the people who feed him information for his speeches – even know what Noli de Castro said on a given night? More to the point, what do they all even care? Shouldn’t they be more concerned about fuel prices, the spat with China, prices of commodities and countless other things that are really so much more important than what Noli de Castro says? Feedback is essential to a democracy, yes. But feedback acquired factually; not a news anchor’s side comments. The Social Weather Station polls, after all, say that the President continues to enjoy the support of a reasonably good majority of the population. Petty. Regrettably petty. What de Castro says is of little consequence. Results and good governance, those are the things that matter! While I agree with the President in that the media can be negative, on the flipside there is either the controlled or intimidated media that is not speaking its mind. That was how things were in another era when this President’s own father was put to prison for brazenly – or, more correctly, bravely – speaking out loud against the incumbent. In other words, this President of all people ought to know how dangerous it is to try to tell the media how to do its job because the media is, for all its imperfections, also the best indicator that the democracy is breathing. I sometimes wonder why this President goes to great lengths to present a face of belligerent thuggery to the public; or if he is even aware of it. 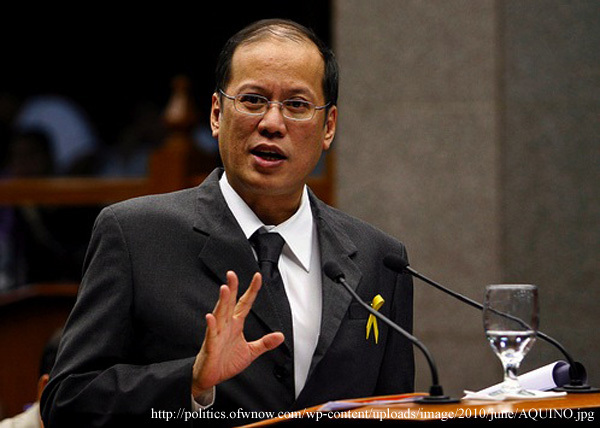 We all saw before how crass he could be in attacking the former Chief Justice in the latter’s presence; and we saw it again in the TV Patrol Jubilee celebrations. That may be fine with some sectors of the population; but he is the President of all. I, for one, would like to see my President handle himself with a bit more dignity. Last Friday at the TV Patrol party, I thought his remarks against de Castro were not dignified at all. Rather, they only made him sound very, very petulant. Indeed, de Castro has not commented on the matter and that, if I may say, is showing the other guy what dignity is all about.